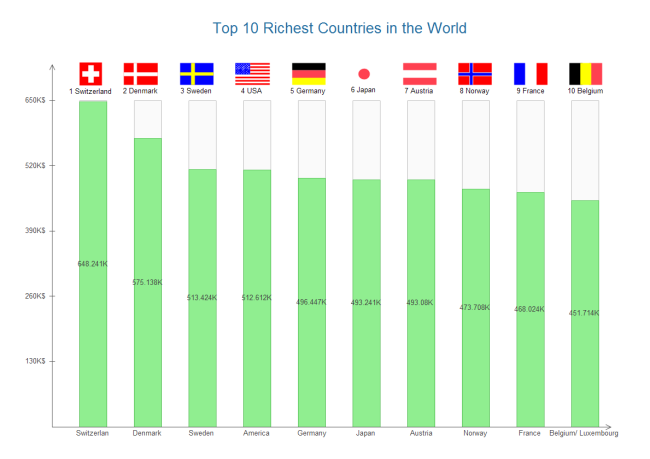 How to create a professional column chart on Linux quickly? The answer is definitely trying Edraw column chart software for Linux, an all-inclusive software with a wide rang of symbols and templates. No drawing skills required. 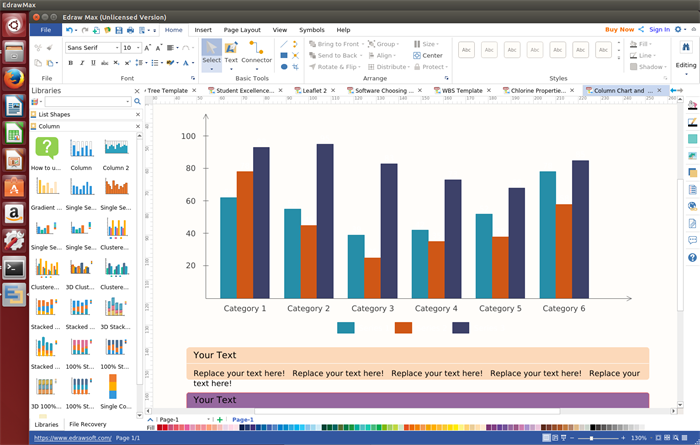 Edraw is a user-friendly Linux column chart software which is perfect for creating various presentation-quality charts. 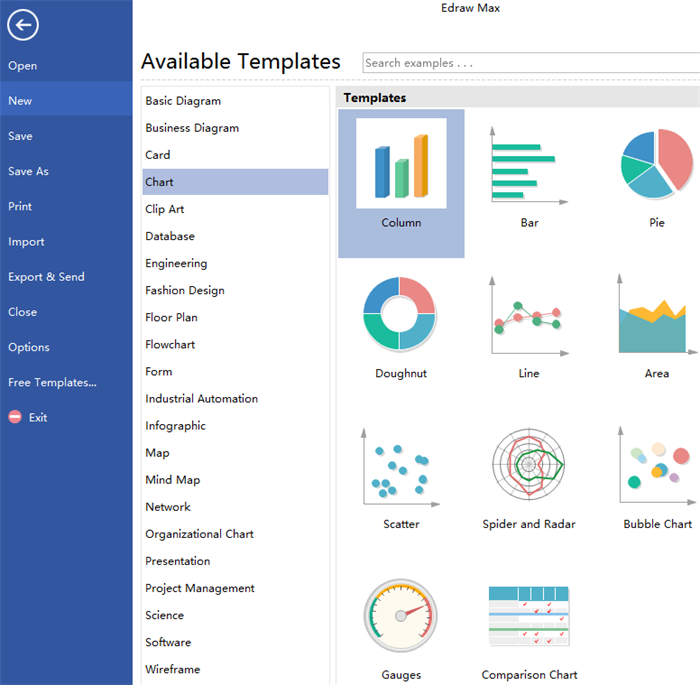 And it is a time-saving and energy-saving chart maker that it provides a mass of chart symbols and templates for users to drag, drop and edit. 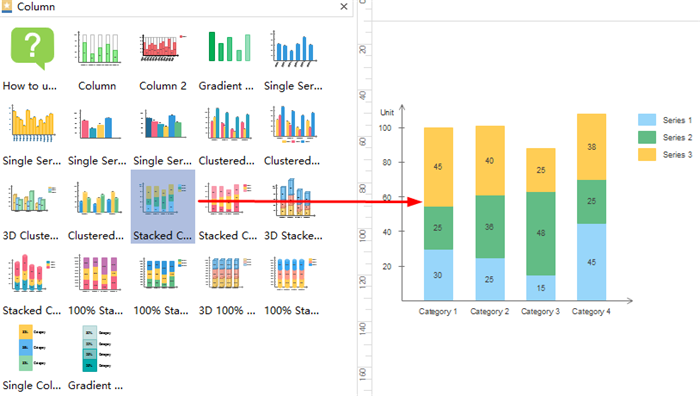 Creating column charts with it is a matter of symbols drag-and-drop and edition. Compatible with the most popular Linux distributions such as Debian, Ubuntu, Fedora, CentOS, OpenSUSE, Mint, Knoppix, RedHat, Gentoo and More. Below features are just a tip of iceberg of Edraw. Welcome to download it and experience all the features. 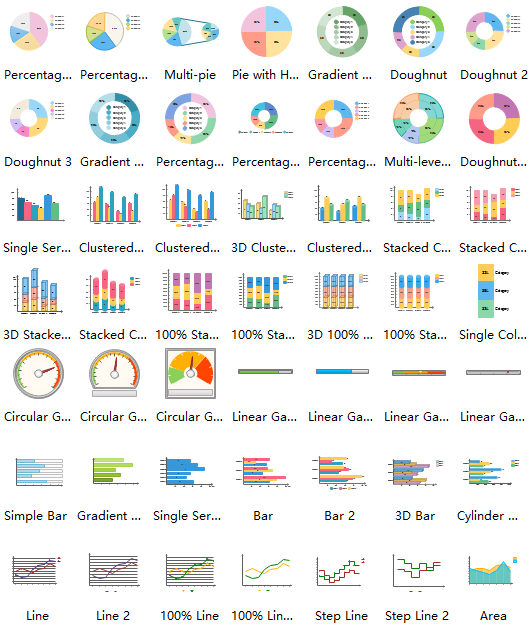 It is a full-suite tool that allows users to create comparison charts, line charts, spider and radar charts, doughnut charts, gauges, etc, not just column charts. Users can get a quick start by dragging column chart shapes and selecting a pre-designed templates or make a fresh start by opening a blank drawing page as they wish. Edraw Linux column chart can visually show the data variation such as when it rises, falls or or remain unchanged, much easier for people to follow up. 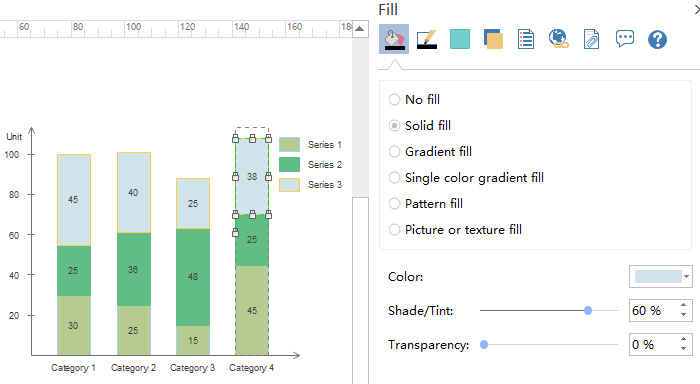 It is pretty conveniently to share column charts with Edraw. 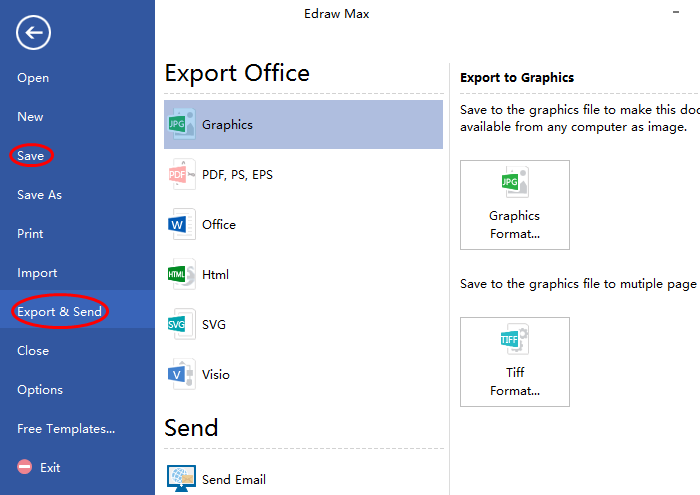 Users can collaborate with colleagues through Edraw Team Cloud or import and export charts to common file formats for sharing easily. The price of our Linux column chart software is affordable for most of common users compared to other chart makers and users can enjoy a lifelong upgrade guarantee once buying a lifetime license. Below are various chart shapes provided by our column chart software for Linux. They can be used to create column charts, area charts, bar charts, scatter charts, pie charts, spider chart etc. And users can easily edit the symbols on the basis of different needs or free design new symbols if they are not satisfied with the pre-designed ones. A column chart is a type of bar chart that uses horizontal bars with proportional lengths to compare data among categories. It is often used to compare different categories of data, show trends or change over time. Below are simple steps to create a professional column chart on Linux. Run the software, go to chart template and double click Column Chart to open a blank drawing page. 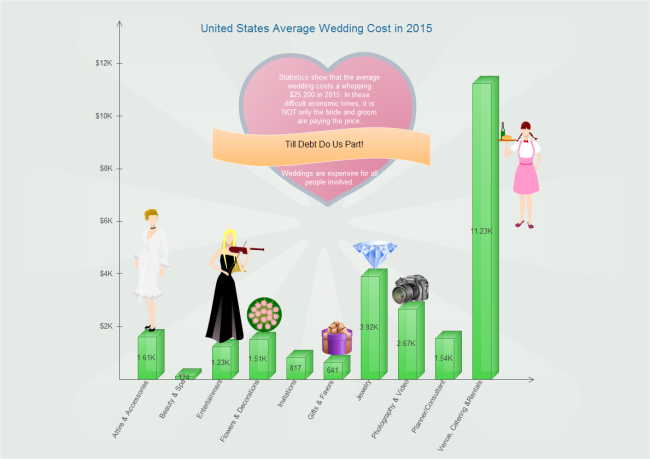 Drag a column chart shape that suits you and drop on the drawing page. 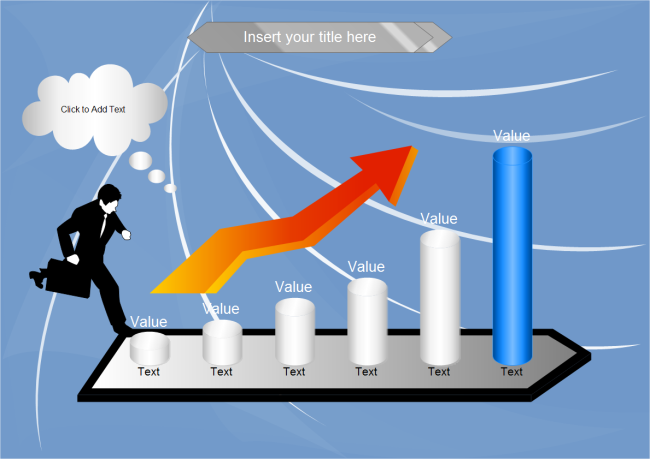 Edit the chart data to your needs by double clicking the value text. Once the data changed, the column height will be changed accordingly. Users can also set the column width based on specific situation. Navigate to the right sidebar and set the column color to make them more visually. Users can also go to Page Layout and change the theme if necessary. Click Save on File tab to save the area chart as default .eddx format; or hit Export & Send under File to export it to common formats for sharing conveniently. Following are column chart examples created by Linux column chart software. All the examples are free to download, edit and share. Just download and customize it to your own needs if any interest.